How Do Organizations in Healthcare Measure the Value Proposition? How Do Organizations Measure the Value Proposition? Both the numerator (Quality) and denominator (Cost) must be measured to demonstrate value. 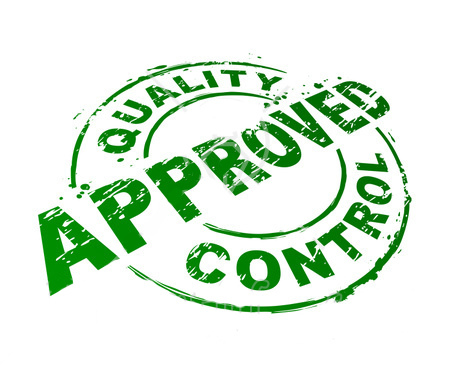 We achieve Quality through Effectiveness, Patient-Centered Care, Safety, Efficiency, Equitability and Compliance. Both quality and cost present major challenges for healthcare organizations. Cost: Healthcare reimbursement programs have experienced continuous and tremendous changes in the past years. When Medicare was created, all services were paid as fees for service, which led to tremendous increases in the cost of care because providers had little incentive to reduce or avoid unnecessary expenditures. Years after, diagnosis-related group (DRG) was implemented as a method for decreasing government expenses. Under the DRG payment system, hospitals are paid a fixed amount for each diagnosis (DRG). After this implementation, and obviously getting some reduction in the expenses, the government initiated another model of payment: Capitation. Capitation payment can be defined as paying a fixed amount per individual being treated for a well-defined group of services. So, for example, a primary care provider might receive a capitation payment of $ 50 to $100 per member per month to provide an individual’s entire primary care physician services, including office visits, tests and other services. Once that model came into play, the payers wanted their risk reduced and thus implemented “risk contracts.” These contracts created a situation whereby if a beneficiary patient needs more than just the routine level of care, and no proper utilization best practices or guidelines exist for the issues or they are not followed, the provider may lose money on that individual due to overutilization. Luckily, the provider costs are spread across a population of individuals so that providers or organizations such as Independent Physicians Association (IPA) or Managed Care Organization (MSO) consider the entire population that is capitated, rather than just an individual, and calculate if the total payments can offset the total costs. This is a very complicated topic that physicians face today. Overutilization of resources, readmissions, inappropriate use of resources, duplication of tests, lack of care coordination, and myriad other issues are causing an increase in the cost of these programs, while Medicare decreases the payments to physicians year after year. Our organization is facing these challenges and has decreased costs by increasing infrastructure in Human Resources and technology across the entire organization. By doing so, we can deliver a higher quality of care despite the “cost crisis” in healthcare. Our model has been proven to work in this environment. Quality: The degree to which health services for individuals and populations increase the likelihood of desired health outcomes and are consistent with current professional knowledge is the definition that I would like to use to describe this value. The concept of P4P has now become an industry standard and likely will persist into the future, as will the 5 Stars Rating programs. These programs have not been around long--Stars rating is a newborn—but while the outcomes are not defined yet, they have had an intense start. Infrastructure enhancement, education and training, improving technology, monitoring of and detailed, current information on each and every patient are important factors to increase the quality of care. Effectiveness: I must emphasize the importance of using evidence-based and best practice guidelines to provide high-quality care. Incorporating the most current valid research evidence into decision-making and combining this with patient experience is essential to ensuring that care is properly delivered. Decreasing resource waste through adequate staffing, assessment, and utilization of modern technology, processes and systems is also crucial. This type of assessment and implementation has been of critical importance to my success as a healthcare administrator. Patient-Centered Care: It is the expression of a higher state of compassion, empathy, values, competencies, and relationship demanded by the most important and diverse clients in customer history: our patients. Timeliness is key to decreasing any harm (delay in healthcare can be catastrophic, including fatal losses). Intervention and processes that avoid delay and denials are important operational opportunities that operators, financial administrators and executives in healthcare must monitor very closely. Barriers to accomplish a plan of care must be studied in detail and resolved. Poorly chosen language may contribute to increased unnecessary admissions, side effects of drugs, increased length of stay in the hospital and increased waiting times. Inappropriate access to physicians or healthcare providers will increase unnecessary admissions, re-admissions, increase of utilization of healthcare resources, unnecessary ER visits and overall, will increase cost and decrease the quality of care. Companies must look systematically at their operations and create a cultural approach that satisfies the needs of their patients. The patient-centered medical home approach is a positive example of a cultural change in the healthcare industry that improves system inefficiencies. Safety: Safety is about preventing incorrect interventions, failure of a procedure or process, and shortcomings in achieving a goal on a patient plan of care. Safe care ensures correct diagnoses, avoidance of unnecessary risks, and that patients are completely informed about and engaged with the nature and attendant risks of diagnostic and therapeutic interventions. Understanding the patient culture and effectively communicating with patients enhances the accuracy of the medical attention process that includes, but is not limited to, the provider-patient relationship, diagnoses, testing and pharmacological and non-pharmacological treatments. This ensures holistic wellness. Efficiency: Performance monitoring and optimization partnered with reduction of waste it is the right way to be efficient, reduce cost and increase quality. Equitability: Provide care despite gender, ethnicity, socioeconomic status, geographical location, insurance company, or patient benefits (payer blind concept). Identifying, constructing and stratifying indicators should be transferred to quality improvement activities. The use of Population Management as a tool to drive a better delivery system and propagation of Specific Case, Disease and Complex Case Management programs will lead our organization to be effective in delivering care to all. Every compliance program should include written policies and procedures that address specific risk areas to the practice. These policies and procedures should be reviewed and updated annually to align with current practice operations. The culture of the company should adopt compliance as its internal DNA. The designation of a specific Compliance Officer (CO) with the appropriate experience, authority and resources is critical to the success of a compliance program. A supporting compliance committee should be responsible for assisting the CO in assessing a practice’s regulatory, compliance and legal environment; developing standards of conduct and policies and procedures to promote compliance; developing a system to identify, report and respond to identified issues; and designing a system of controls to carry out the practice’s compliance-related obligations. Weighing cost and quality measures as further defined by the values described above, I think an organization can address the value proposition in a more focused way and use it to define who they are. “Selling” any company can be complex, but health insurance companies and payers do examine the quality value proposition, and when the factors of the value proposition are not balanced, it can lead to dissatisfaction and loss of business. Healthcare customers want and need quality care, and therefore quality should be the overall criteria for defining a Healthcare organization.